​Twenty year old Harlow has spent the past two years avoiding the advancesof the club members, much to the annoyance of 'Hawke' the President of the Skulls MC. Harlow thinks that leaving the Skulls MC will be easy after the death of her father but she couldn't be much further from the truth. Wanting to start a new life for herself, Harlow finds her dream job as a tattooist, the only problem is the business is owned by the Aces, a rival club. Ethan 'Diesel' Stokes is the VP of the Aces. He has had a turbulent life and is trying to mend the pieces of his broken heart since the death of his son, Shaun. 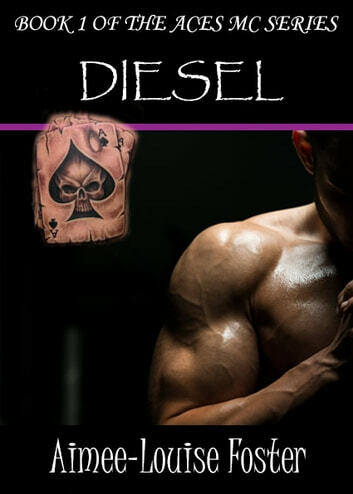 Diesel doesn't have time for relationships but when he meets Harlow, the beautiful, tattooed, challenging new employee, he can't help himself! Harlow has only ever trusted one man but now her father is dead, can she learn to trust another and open her heart, knowing that there's a chance it may be broken? Can Diesel keep his promise to protect her and avenge her father's death? Note: This is a fast pace gritty MC romance with colourful language, violence and hot love scenes. Great reading. Script flowed naturally. It was a realistic biker story fir a change,nothing over the top just right. A page to page interesting read.